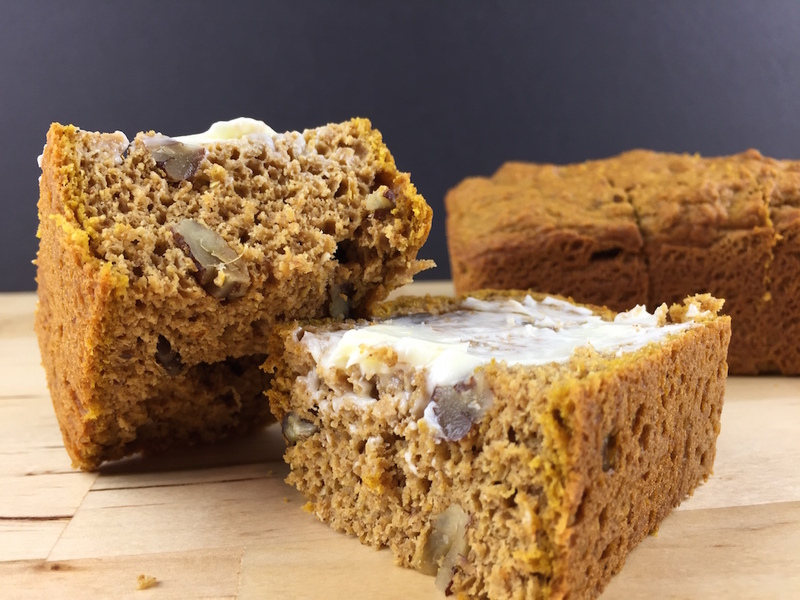 How to Make Low Carb Pumpkin Bread using LC-Pumpkin Bread Mix. 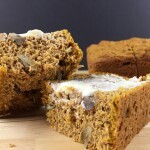 Per Slice: 2 Net Carbs | 12g Protein | 0g Sugar // Click Here to Watch an Instructional Video! In a large bowl, place the entire package of the LC-Pumpkin Bread Mix. In a separate bowl, combine eggs, butter, pumpkin & cream. Add wet ingredients into dry, mixing to combine. Add optional 1⁄4 - 1⁄2 cup of nuts if desired. Bake at 350° F for 35-40 min, insuring center is fully baked by inserting a knife into the center that comes out clean.